There was a time when eating a completely plant-based diet was seen as ‘plain’ or ‘dull’, but with more people choosing to try out the vegan way of life in the last ten years, most of us have realised cutting out animal products doesn’t have to mean missing out on tastes and flavours. One of the world’s leading plant-based chefs, Matthew Kenney has spent his entire career creating nutritious and varied plant-based dishes and his latest book, Plant Lab: Creating The Future Of Food is full of innovative vegan dishes ranging in skill level and technique. 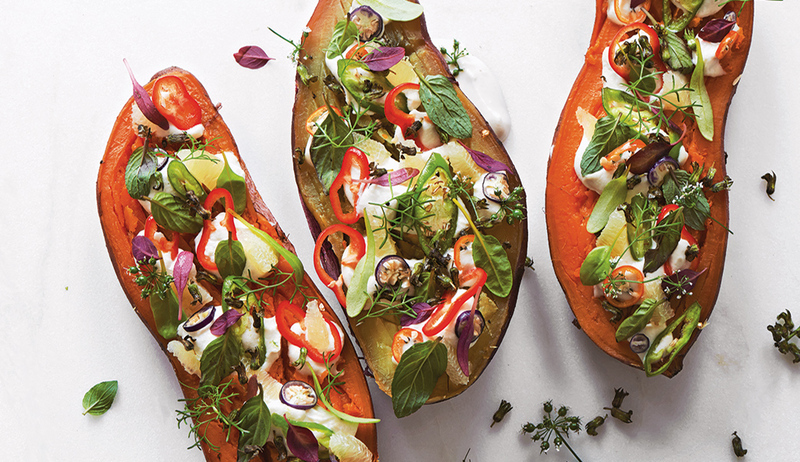 Whether you’re a full-time vegan or just on the lookout for more veggie packed dishes to add to your repertoire, Kerney’s recipes are worth a closer look. Combine all ingredients in a large mixing bowl, and toss to coat the sweet potatoes. 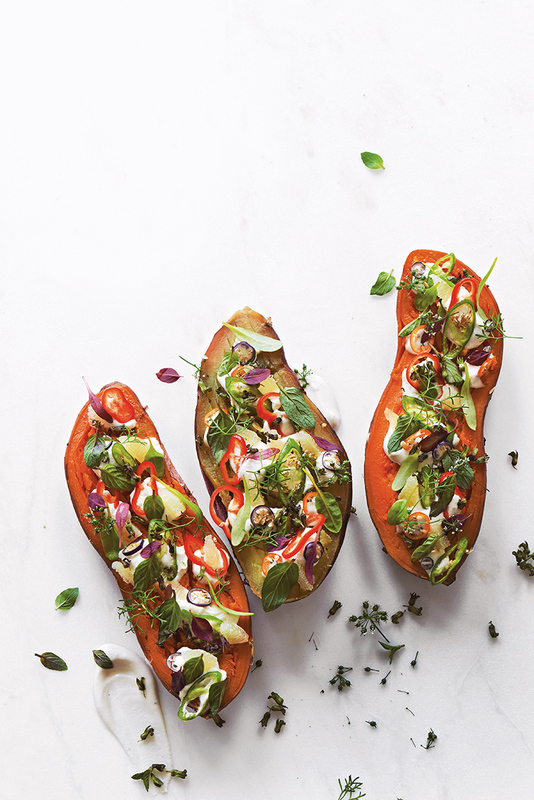 Wrap each sweet potato in aluminum foil and bake them on a baking sheet for 1 ½ hours, or until potatoes are easily pierced with a knife.